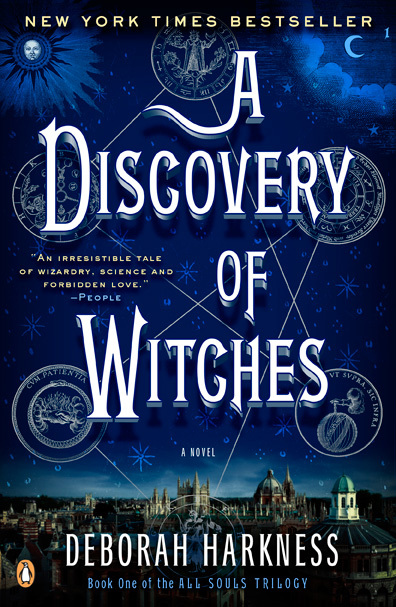 Deborah Harkness historical fantasy novel, A Discovery Of Witches, is the first installment in the All Souls Trilogy which has sold more than 3.5M copies around the world. Ive learned that Jane Tranter and Julie Gardners UK/U.S. Bad Wolf production shingle has acquired TV rights and is developing a drama based on the book with a view to adapting all three in the series. Life On Mars Ashley Pharoahis adapting the novel for the screen while Harkness will also pen several episodes. Harkness debut celebrates its 5th anniversary today, having been published on February 8, 2011. Its the story of Diana Bishop, a young scholar at Oxford who is a descendant of the Salem witches. When she accidentally unlocks an enchanted manuscript, she is compelled to embrace the magic in her blood and enters a forbidden romance with charming 1,500-year-old vampire Matthew Clairmont. At one time, a series looked like it might get set up at the BBC which showed serious interest in developing, but Bad Wolf decided to put it together in a different way. Warner Bros acquired film rights to A Discovery Of Witches in 2011, but when the option lapsed, all rights reverted back to Harkness and conversations about film and TV adaptations were tabled until she was finished with the trilogy. The second novel,Shadow Of Night, was published in 2012 followed by The Book Of Life in 2014. Tranter and Gardner are executive producing A Discovery Of Witches. They recently closed a deal with the BBC and New Line for an event series adaptation of Philip Pullmans fantasy trilogy, His Dark Materials. Harkness and Pharoah are also exec producing A Discovery Of Witches.